MONTEREY CO., Calif. -- Crews are searching for a 17-year-old boy who was swept into the water off of state Highway 1 in Monterey County late Wednesday afternoon, a sheriff's spokesman said Thursday. 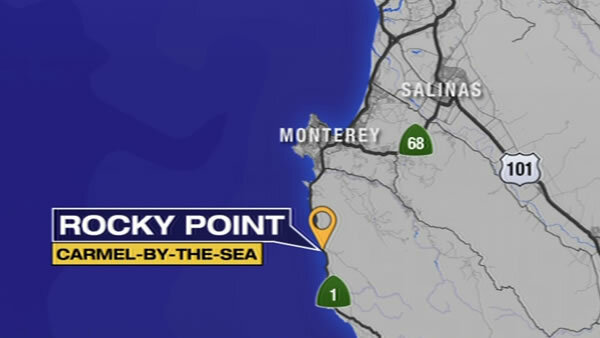 Deputies received a 911 call reporting a boy who fell off the coast near Rocky Point Restaurant in an area between Carmel-by-the-Sea and Big Sur around 4:45 p.m., sheriff's Cmdr. John Thornburg said. A rescue team responded to the scene, where they saw the teen get swept into the ocean, Thornburg said. Before the boy fell, he was climbing on rocks with another juvenile, who was not injured, according to Thornburg. Search crews have been looking for the boy throughout the night and early this morning, according to Thornburg. A dive team and a California Highway Patrol helicopter have also been called to assist in the search this morning, Thornburg said.